If you were already going to buy the QC35's, there's really no reason not to get these. even if you don't use the Google Assistant the three new ANC modes is definitely worth the extra $20. You're already spending hundreds of dollars, might as well get the best that Bose has to offer. 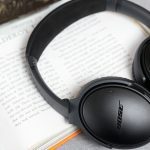 We already reviewed the Bose QuietComfort 35 so why are we reviewing the Bose QuietComfort 35 II? 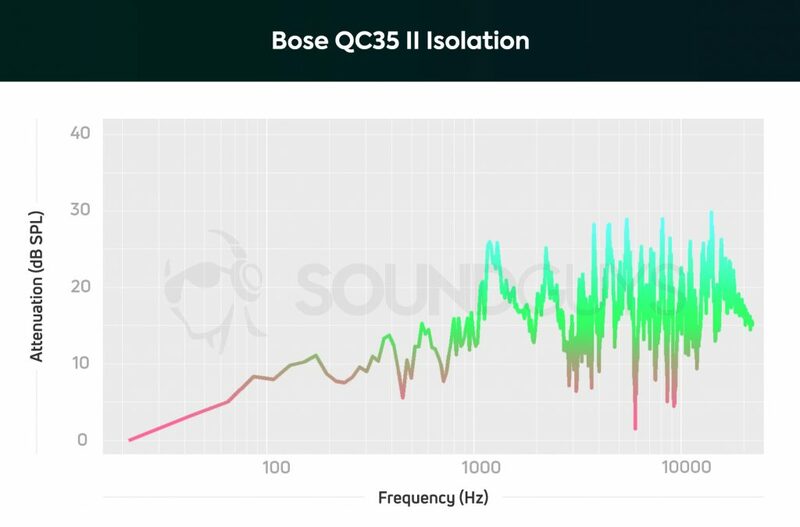 What’s so new about the QC35 that warranted a “series II” anyway? Well now it has a new hardware button to activate your favorite voice assistant (no, not Bixby). The new button activates the Google Assistant and has another trick as well. Editor’s note: this review was updated on April 17, 2019 to add comparison data. When you open the box you’re greeting with this oddly shaped and sturdy carrying case. Opening it up reveals the headphones nicely tucked away inside. It really shows just how flexible these headphones are. they’re ready to be thrown in your bag without a second thought. Along with the headphones you’ll get a micro USB charging cable and a 3.5mm audio cable. It would’ve been nice for them to give the QuietComfort 35 II a USB Type-C charging port, but at least they still have a headphone jack. The inside of the packaging tells you download the Bose Connect+ app in order to get started, so let’s dig into that. When you open the app it’ll first try to find the headphones, and then ask you to swipe them down into to finish pairing. It’s pretty cool, especially since the process is helped along by a small voice egging you along in your ear. After you select your language and pick a nickname you’ll get to the Google Assistant setup, which lets you toggle having your notifications read aloud into your ear and even has a dedicated Google help page for the product. Then you can ask it questions just like you would if you activated on your phone, except it’s not. It’s much quicker. As soon as you press the button you’ll hear a quick little tone and then you can ask your question or give your command. 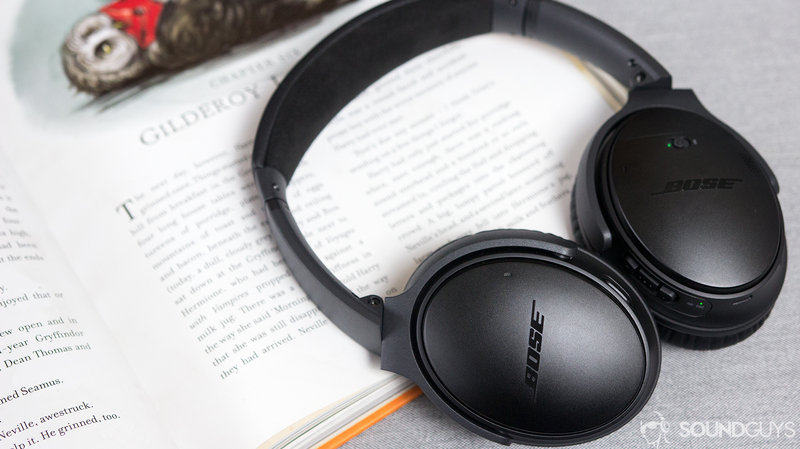 Normally with headphones you’d have to wait a second or two for it to register and pull up Google on your phone, but with the Bose QuietComfort 35 II it starts listening as soon as you press the button so you’re not left wondering if it worked or not. I’m assuming this is one of the benefits you get from working directly with Google and we’ll probably see this in future Made for Google products. Talking to Google is instant. As soon as you press the button they start listening so you can ask your question or give the command. Then with your command sent, you just have wait for the answer as it’s sent from your phone. The reply obviously isn’t instant but it’s still still quick enough to be fairly impressive. Now the Google Assistant isn’t the only new feature with the new Bose QuietComfort 35 II. In the Bose Connect+ app you can remap the Action Button on the left earcup to control the active noise cancelling which now comes in three levels: high, low, or off. You’ll still be able to access the Google Assistant by holding down the multifunction button on the right earcup for a second. So you get the best of both worlds. You’re probably wondering: “Well, what if I have an iOS device?” And if you’re rocking an iOS device you too can have the best of both worlds, kind of. You’ll have to download the Google Assistant app on your iPhone in order for the Action Button to pull it up, and then you can access Siri by holding down the multifunction button. As far as connection goes these are just as strong and consistent as the original version of these. I had no problem with connection strength whether my phone was in my pocket or across the room. Extreme range testing aside, I only 3 skips in regular usage over the course of about a week, so not bad at all. This solid connection strength applied to phone calls as well and I had no dropped calls or issues here. If call quality is important to you these won’t let you down. On top of all that, when you turn them on they seamlessly connect almost Airpod-like. Super quick. So if you’re wondering why we spent so much time on the new Action Button and the connection aspect of these headphones, it’s because the addition of the Google Assistant/ANC controls and its dedicated hardware button is basically the only difference between these and the Series I QC35. So everything else about these including the build quality, sound quality, and battery remains pretty much the same. But in case you missed our first review, we’ll dig into each of these now. Design is easy because as the only difference is the button like we mentioned, these are still a smart looking pair of headphones. They maintain the slim profile of the original and also the comfort level as well. The Bose QuietComfort 35 II is considered one of the most comfortable pairs of headphones on the market, and for good reason. You can wear these for hours without ever feeling like you have to take them off to let your ears breathe. They’re also super durable and can be bent and twisted in a bunch of ways so if you have to jam them into your bag you can do so with a clear conscious. But you should still probably just use the included carrying case. Besides the action button and multifunction buttons we already mentioned, you’ll get the volume up and volume down buttons as well as a power switch on the right earcup. You’ll also see that these charge via micro USB on the bottom of one earcup and even have a 3.5mm input on the other so you can hardwire them to your phone, if you still have that option. Battery life also hasn’t changed from the first model, with an estimated 20 hours. That’s enough to do a coast to coast trip in the US 3 or 4 times. Not bad. In our testing we got exactly 15 hours and 46 minutes on about 80% battery. So unless you play your music at max volume constantly you shouldn’t have an issue with these. So first things first, nothing with the sound quality has changed here. Even though these have the Google Assistant and Android Oreo now has LDAC, aptX, and aptX HD support for higher quality streaming via Bluetooth—you won’t find that here. You need two to tango with these codecs so when one side doesn’t support a codec, they default down to the standard SBC which is the same as the original. That doesn’t mean it’s bad, the average person will probably find these more than great. 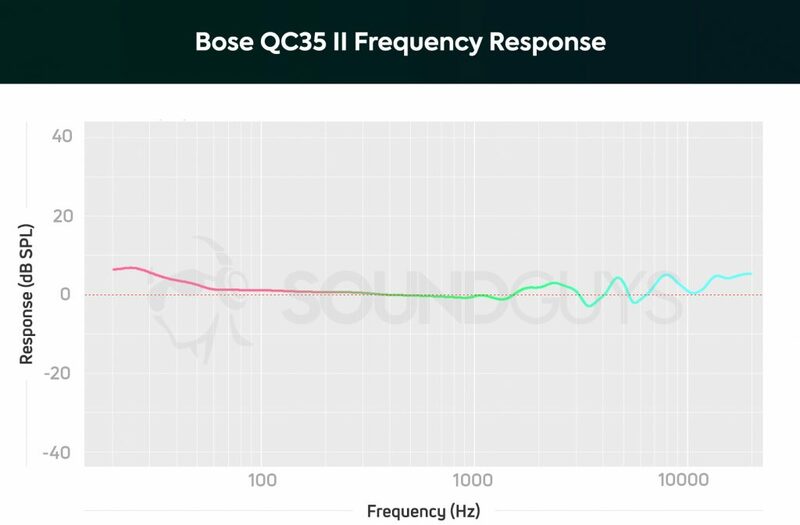 The Bose QC35 II have a very neutral frequency response, which is great for tinkerers. 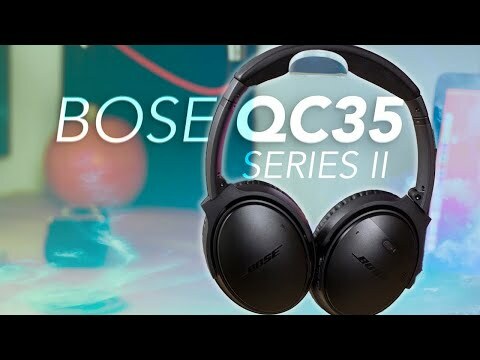 The Bose QC35 II actually has a fairly neutral response all things considered, and it’s cool to see a consumer product lean towards a sound like this. Of course, you can always equalize your headphones to change things around to your tastes, but this kind of performance allows you to do that out of the box—like I said, really cool. Lows are definitely still given preference over everything else, but on the bright side it’s only by a very small amount. Each bass kick in the song “We Just Haven’t Met Yet” by Russ shook my eyes just a little bit, but that’s probably more the result of the mixing than anything else. Mids are just as clean as they’ve always been with vocals coming through loud and clear. I was hoping that there’d be just a little more detail in the background instruments of some songs but it seems to be the same as the previous model, which isn’t a bad thing since those were fine. But one could always hope. These also do a great job at straying away from harshness, though at the detriment of the detail in the highs. You won’t get some of the same airiness and space that you’ll notice when listening to open-back headphones of a similar price. The hi-hats and cymbals in Billy Joel’s “Zanzibar” sound a little flat and don’t really have that exhilarating effect that I know them to have. How’s the Bose QC35 II’s microphone? 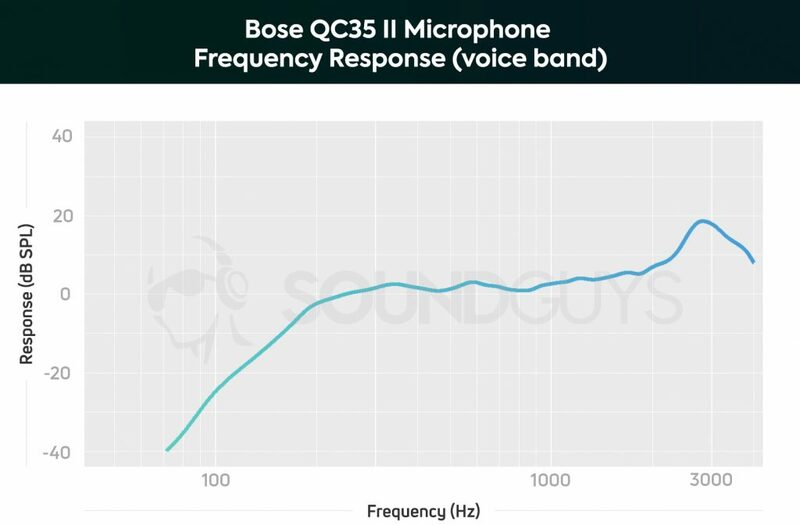 Like most Bluetooth headphones, the microphone on the QC35 II tends to pick up a lot of background noise and it isn’t all that great at full-band recording. That being said, it handles the voice band acceptably well, and will work for phone and conference calls just as well as could be expected. The Bose QC35 II handles the voice band very well, but if you have a deep voice you could find some issues with your call quality. Of course, that only applies if you have a voice that’s higher in register. See how the lower in frequency you go, the quieter that response gets? If you have a particularly deep voice, you’ll find that the microphone quality will struggle to pick up your voice’s fundamental tones, so it’ll sound a bit weird—to say the least. However, most don’t have much to worry about here. Oh yeah, and about that active noise cancellation. Bose has always had top of the line ANC, but it’s starting to get a little behind the times. Though Sony left Bose in the rear view mirror with the WH-1000XM3, the Bose QuietComfort 35 II offers decent active noise cancellation. For commuters, this is super important, as noise reduction is the most important performance metric for active noise canceling headphones. The Bose QC35 II offer a really good level of active noise cancelling, but it isn’t market-leading anymore. Everything in blue and green was cancelled which shows you just how good these are as it’s most near the 20 dB line. But we can go even further and show you exactly how this will sound in a few different scenarios. So if you click on the video above we have a few audio samples that can show you how they actually sound. Bose QuietComfort 35 II from the side. The logos are still minimal. The Bose QuietComfort 35 II’s voice assistant command works with both Android iOS. Among the best active noise canceling headphones, the Bose QuietComfort 35 II is top-tier. However, its little foibles and dated hardware make the Sony WH-1000XM3 a compelling option in comparison. But you’ll have to decide for yourself if it’s better for you. The Bose QuietComfort 35 II are the same headphones as before, except now they’re just a little better with the addition of the Assistant and active noise cancelling profiles. The ANC is still one of the best you can get at any price point, and because nothing else about these has changed they’re still just as amazingly comfortable as they were before. Of course, we’re always going to wish that sound quality was better but these aren’t the worst Bose headphones I’ve ever heard. The music sounds fine, but what you’re really paying for is all of the cool new features. The high price tag will definitely deter most people, but let’s be real these are going to fly off the shelves anyway. If you were already going to buy the Bose QuietComfort 35, there’s really no reason not to get these. even if you don’t use the Google Assistant the three new ANC modes is definitely worth the extra $20. You’re already spending hundreds of dollars, might as well get the best that Bose has to offer. And these are without a doubt the best they have to offer.